Clueless in Boston: Independence Day in the U.S. Happy July 4th to all who celebrate and have a long weekend. Clueless, this photo couldn't be more perfect. You do justice to the theme :) Have a great week-end yourself. Happy 4th july to you and have a super weekend! perfect is right! have agreat weekend! 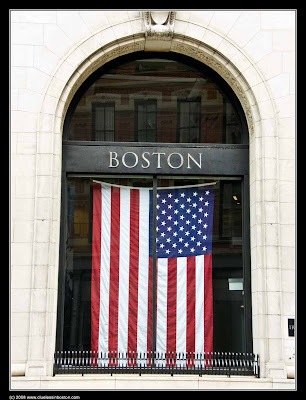 Boston and the stars & stripes say "independence day" to me. Happy 4th! Perfect shot for America's most special day.